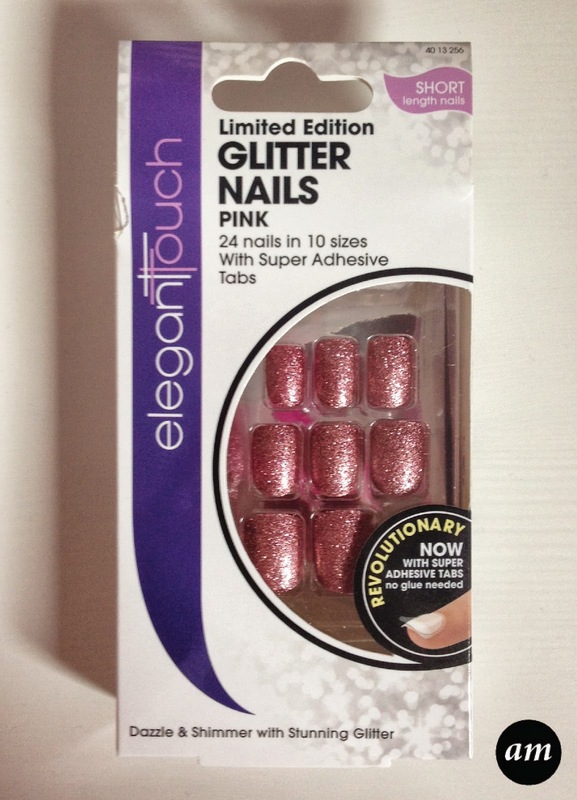 Today I'm going to be doing a review on the Elegant Touch Limited Edition Glitter False Nails. I have also filmed a review of this video, so if you would prefer to watch that, scroll to the end of this post. 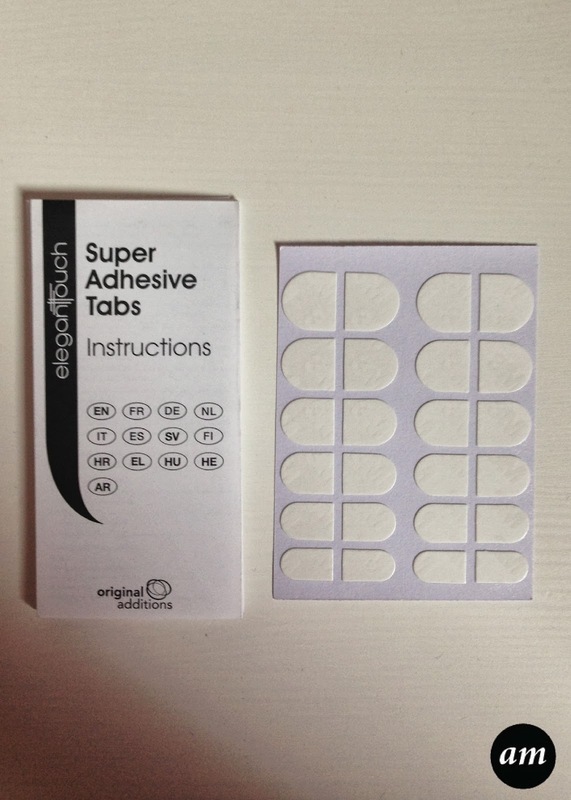 These nails come with a mini nail file and adhesive tabs instead of glue. The adhesive tabs are supposed to be better for your nail and work just as well as glue. However I found the tabs to be rubbish as they didn't stick the nail all the way around the edges, only in the middle, so everything kept catching on my nail - which was so annoying and resulted in my nails falling off. I then glued the nails on with the Elegant Touch Brush On Glue and they stuck perfectly. The great thing about these glitter nails is that they have a film over the top of them so that the glitter doesn't come off the nail. They also come in a variety of colours and I had lots of compliments about them when I had both pairs on. The only thing that annoys me about all Elegant Touch nails is that you don't get enough of the nail sizes. Most of my fingers need a size seven nail, but you only get two, which means I had to file down the bigger sizes until they fit my nail. What would be good is if they sold each size separately, so you can purchase as many as you want and know you have the right sizes. Both sets of nails lasted two weeks before I had to take them off. You do find that after a week some nails do need re-glueing as they start to lift, but I think two weeks is very good for a set of glue on nails to last! Overall I would recommend these nails to anyone with short nails that won't grow. 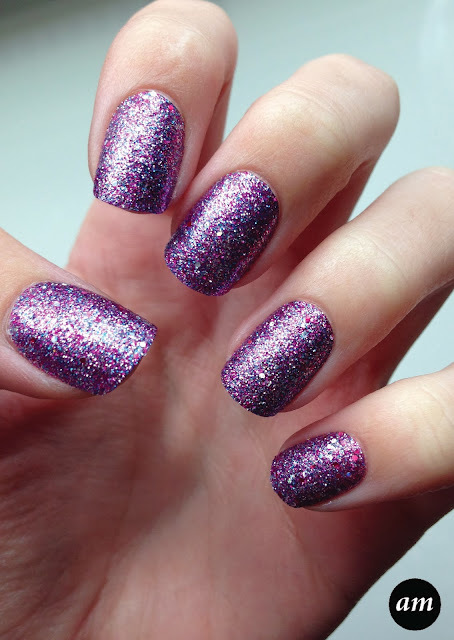 If you have nice nails already, wear them with warning as the glue does ruin your nails. 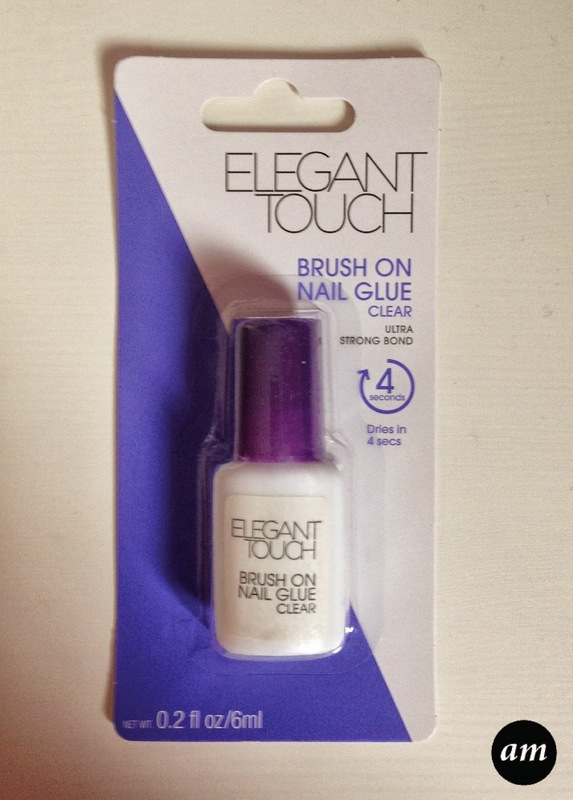 You can purchase these nails from Boots for £7.10, which I think is a very good price. 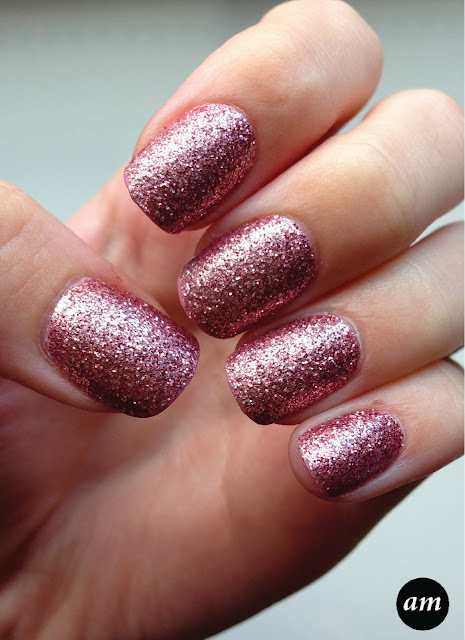 Which Elegant Touch Nails are your favourite?